Please be advised that no vehicles can be parked on the race route between 1:00 pm and 11:00 pm. Please refer to the map provided for further clarification on affected streets. a Race Marshal and they will safely direct you to your destination. 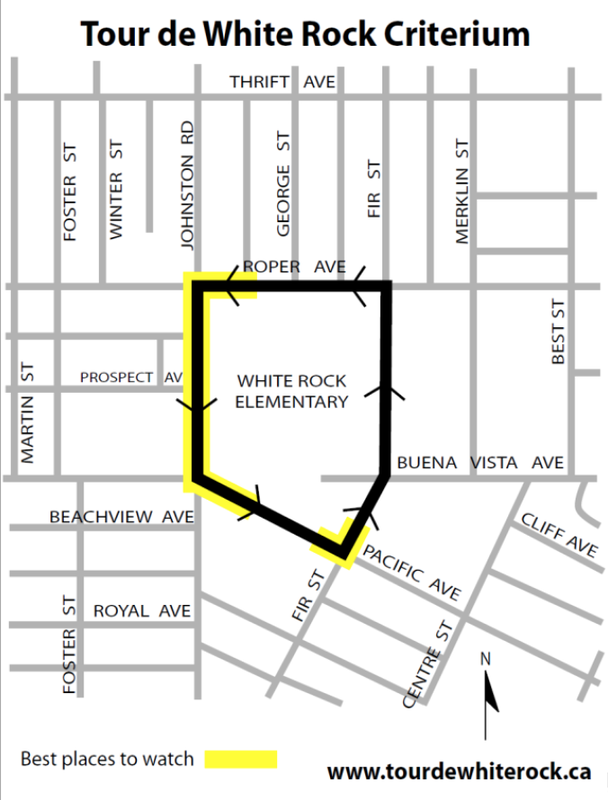 Please be advised that no vehicles can be parked on the race route between 7:00 am and 1:00 pm. Please refer to the map provided for further clarification on affected streets. There will be three (3) access routes to Marine Drive parking lots to facilitate the flow of business employees, spectators, and shoppers. Traffic will be channelled to Marine Drive via OXFORD St., BALSAM St., and STAYTE Rd.